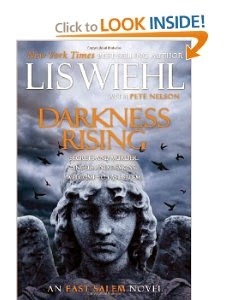 Darkness Rising continues the dark journey begun in the first book, Waking Hours. The story picks up right where the first novel left off. The setting is still modern day and in the small town of East Salem. Most of the main characters return in this story and we are introduced to several new characters, who it seems will be appearing in the third installment as well, Final Tide, due to be released in September 2013. Tommy and Dani’s relationship is getting more serious, but can it survive when people from the past show up? Can Dani really trust Tommy to be honest with her? Unbeknownst to them, there is a third party involved who is trying to divide them and weaken their strength. Their strength is their united belief in Christ. Can they survive a betrayal from someone close to them? A variety of characters sporadically begin to be involved in Dani and Tommy’s fight against evil. There is a British art historian, a Native American Indian from the “Midwest”, an actress, a genius microbiologist who lend their knowledge to try and help find “the book” old Abbie Gardner has hid. The evil forces are also looking for the book in order to destroy it. One of these people is also the member of a secret society pledged to protect the book and fight for Christ against evil no matter what the cost. Abbie was the last guardian of the book. Who will be the guardian now that she has been killed? Who or what killed her? How is St. Adrian’s Academy involved? Can this group who has pledged to fight evil stop these forces from enacting worldwide chaos and destruction? I want to give you enough detail to intrigue and tantalize, but not so much as to take the place of reading the story. To read the story for yourself is the best enjoyment. This story will keep you glued to your seat and to the book! You won’t be able to turn the pages fast enough to find out what confrontation is going to take place next. After finishing reading this one, you will wish it was September so you could start the third and final book in the series! Don’t miss this one!